Nickel-Plated Steel Curved Safety Pins - Perfect for Quilt Basting! 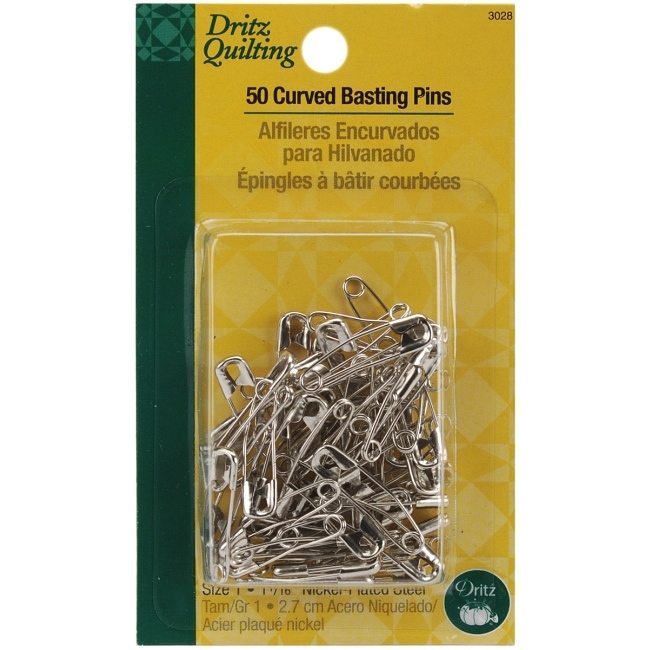 The Dritz Quilting Curved Basting Pins pack contains 50 of the size 1 nickel plated steel pins for quilt basting. Use these curved safety pins to easily baste quilt layers together for quilting. Size 1 is recommended for quilt basting. 50/pkg is a convenient size for smaller quilts. Size 1 pins are approx. 1-1/16" in length.